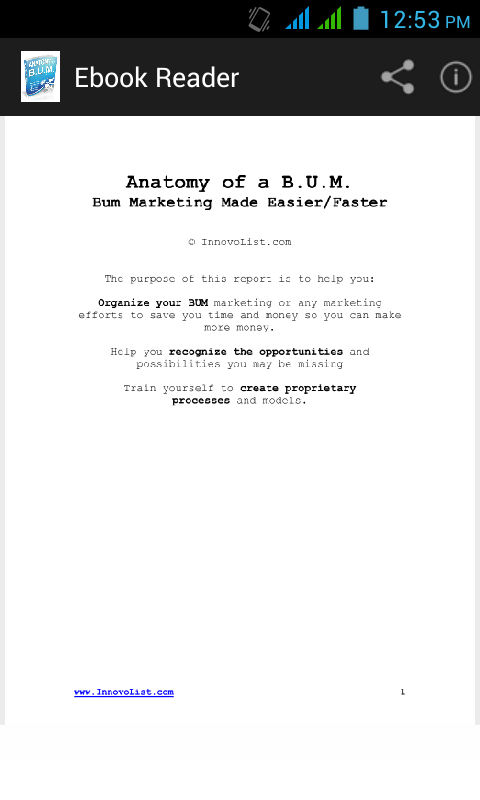 Anatomy of a BUM is a newly created app that describes everything about how bum marketing is done and what does is really mean. 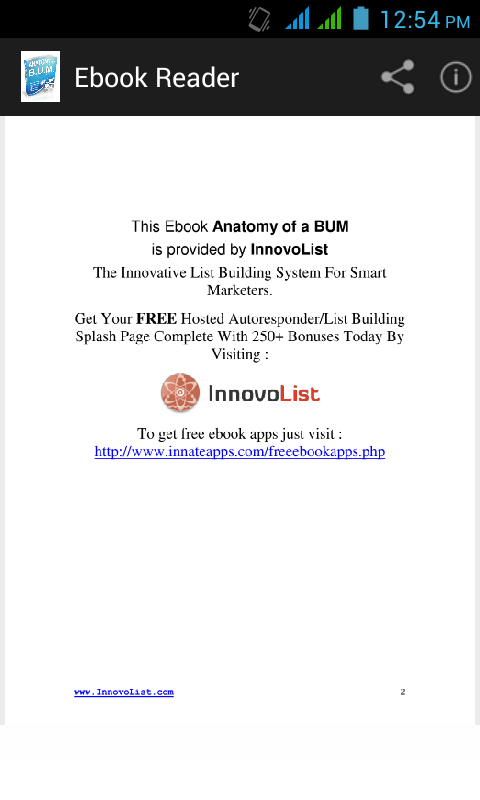 For newbiews to the online marketing world, understanding BUM marketing can be a bit difficult. However, it's crucial to know that bum marketing is also referred to as article marketing and has become a craze among webmasters across the internet. 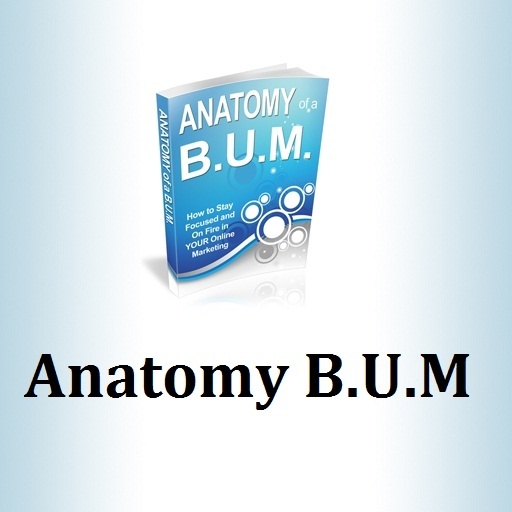 In this app, you're going to explore the anatomy of a BUM. It shows you how to organize your BUM marketing or any marketing effort to save you time and money so you can make more money. It has long term possibilities, so if you're willing to stick to the simple system of BM, then this app shows you some ways to keep it organized, and ways to advance your personal BM system. To keep your B.U.M clean, you will learn a number of effective and proven techniques in this app. This method is really about getting more articles of decent quality ranking highly in the search engines in order to get traffic to your affiliate links, sales pages, Asdsense pages, opt-inpages and so on. This app is absolutely free! It is easily available on Amazon appstore and Google Playstore for all those who want to boost their business sales and profit. Organize your BUM marketing or any marketing efforts to save you time and money so you can make more money. Train yourself to create proprietary processes and models. The Innovative List Building System For Smart Marketers. Bum Marketing is one of the latest “crazes.” But there’s something that makes it different from the rest. Importantly different. It’s based on the human element. It teaches you skills that you can use across the board of your online efforts. And while certain sites you’re using for promotion might shift in popularity, it’s relatively easy to find a new one. Unlike the automated site generators, mass pinging, etc. Bum Marketing is based on the elements of business and SEO fundamentals. Things that won’t change with the next algorithm. Bum Marketing has long term possibilities. If you’re willing to stick to the simple system of BM, then here are some ways to keep it organized, and ways to advance your personal BM system. 1. Favorites Folder in your browser. Include your links to your affiliate markets, online research tools, article directories, classified add directories, etc. Link them directly to the login page, not just the home page. Set them up numerically so you can work through them step, by step. 2. Shortcuts folder on your desktop leading to your tools. 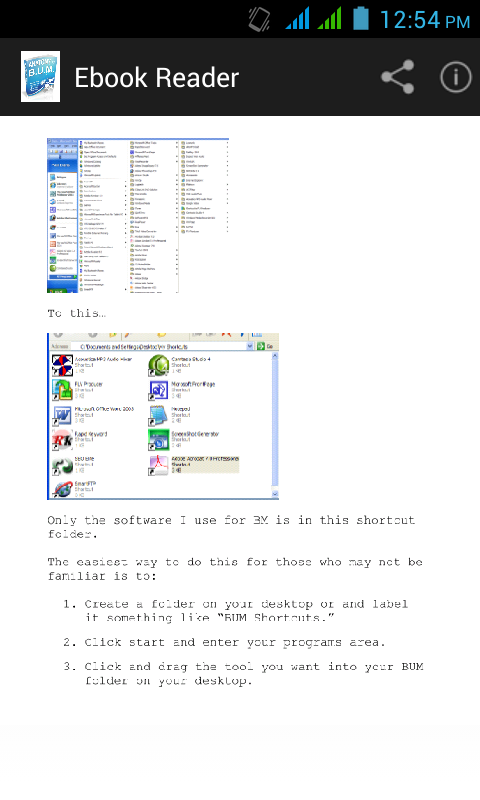 This will keep you from getting lost in your software options and keep you using only what you need. Place a shortcut to EVERY tool you use on the folder. 3. Website Templates. Lay a “beginning” site out and use it each time to rapidly make changes. 4. Checklists. Step-by-step processes for each BM element. An article writing example is for you below. The reason for a checklist is it keeps you focused and on track.